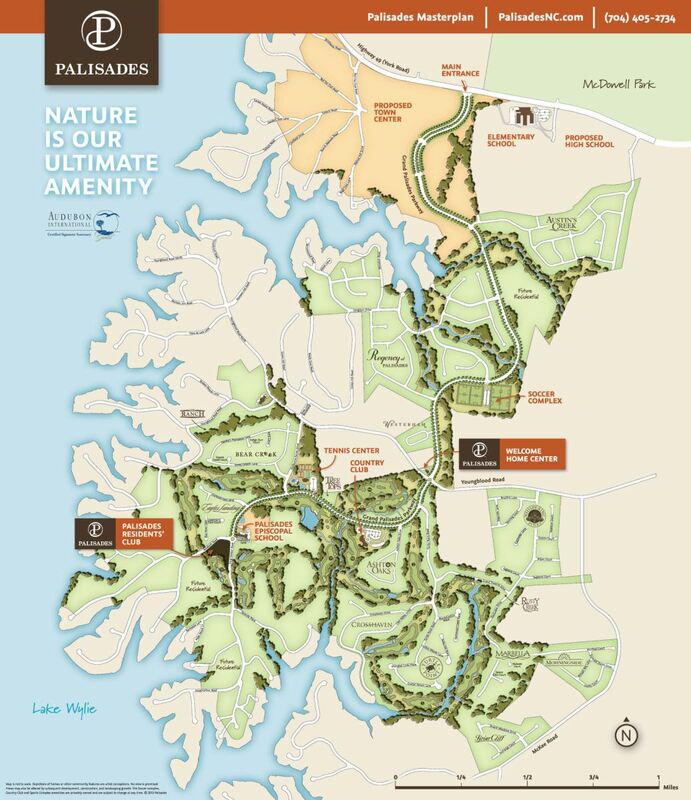 Palisades is a 1,500 acre master planned community located in Charlotte, North Carolina. The beautifully designed homes are nestled along the shores of Lake Wylie against a scenic background where nature is the ultimate amenity. Palisades has earned the coveted Audubon International Certification. In addition to the award winning natural features, Palisades offers many unique amenities: Country Club, golf course designed by Jack Nicklaus, private K-8 school, soccer training facility, Swim and Fitness Facility. This is truly a “one-of-a-kind” community.